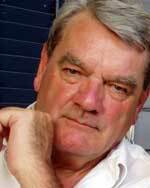 OY GEVALT: British author and Hitler apologist David Irving is a man with a lot of chutzpah, a man in denial about his own denial. Irving has penned numerous books downplaying the scope of genocide under Hitler's rule, then sued American author Deborah Lipstadt after she called him a Holocaust denier. And while he lost that libel suit in England -- where the burden of proof rests with the defendant -- he hasn't backed down from his views. And now the man who once said that "More women died in the back seat of Edward Kennedy's car at Chappaquiddick than ever died in the gas chamber in Auschwitz" is heading for Aurora [suburb of Denver, Colorado]. As part of a national speaking tour, he'll hit town on December 20 -- the first day of Hanukkah. The mere thought of his upcoming visit raises the ire of Sara Salzman, an Aurora woman who routinely confronts Holocaust deniers in Internet chat rooms and who sits on the board of the Holocaust History Project. "I don't want to prevent him from coming," she says. "I just want to make sure people know who he is." And where he is, since the location of Irving's talk has yet to be set. In the meantime, Salzman has launched a one-woman crusade to make his trip to Colorado as unwelcoming as possible. Once she determines where he'll be speaking, she hopes to round up a group of people to protest and hand out pamphlets describing his views. "This isn't a question of whether he has a right to say what he wants to say," Salzman explains. "But I'd like to make his visit a very unpleasant one."